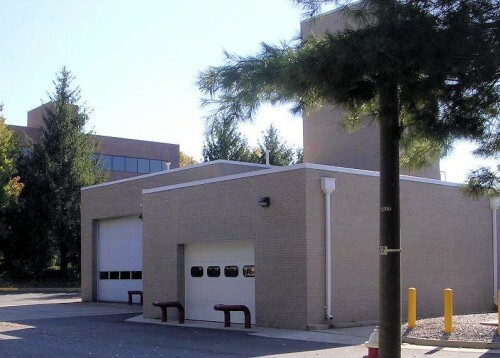 SWSG provided full architectural, civil, structural, mechanical, and electrical engineering services for the renovations and addition to the Fairfax County Oakton Fire Station # 34. For the addition, both building and site plans suitable for permitting and bidding were prepared. The addition serves as a location to handle and store hazmat uniforms and equipment. The area also includes a hazmat wash station, decontamination facility and restrooms. 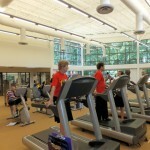 Renovations included modifications to the kitchen facility and comprehensive mechanical and electrical engineering upgrades for the entire facility. A second mezzanine level above the office space was added for more storage area. Site design for this 14-acre site included parking, utilities, storm water management, landscaping plans conforming to tree canopy coverage requirements, and site lighting. SWSG provided electrical and mechanical engineering services to develop construction documents for the replacement of the existing emergency generator at the Pine Ridge Facility. 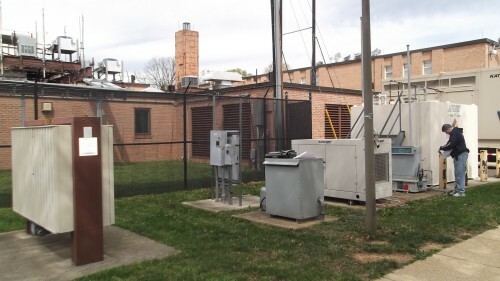 Design services included: replacement of two existing generators, generator switchboard, automatic transfer switches (ATS), permanently mounted exterior load bank, day tanks, generator exhaust system, maintenance by-pass switch, and distribution switchboard. 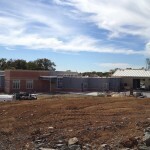 The design provided remote monitoring capabilities with connection to the building Energy Management System, a Veeder Root fuel monitoring system, and sound solutions. The design also provided for phased construction to keep the 911 call center operational during installation. ROM estimates and an estimated construction schedule were provided.